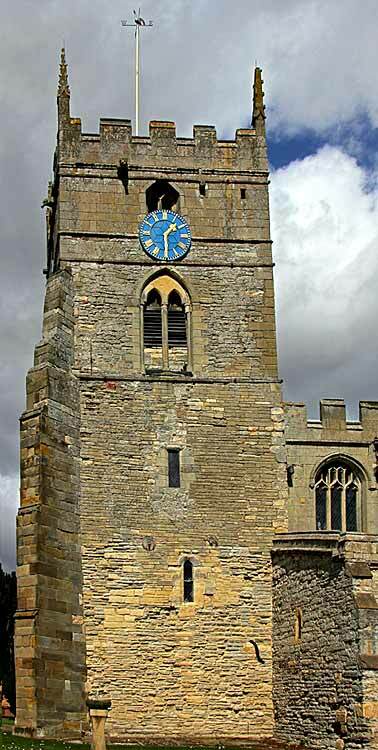 The church at Sutton, together with its priest, along with around eighty others scattered through Nottinghamshire, is first mentioned at the time of Domesday Book (1086) although the likelihood is very strong that it was established considerably before 1066 since the village has Anglo-Saxon origins and by then had more than 150 inhabitants. The earliest fabric identified (found in the foundations of the tower during restoration in 1902-3) probably dates to around 1100 but the main body of the church is 13th century by when Sutton was frequently described as ‘upon Trent’ to distinguish it from several other local Suttons. After its mention in Domesday Book, there is some ambiguous evidence that the church may already have been given to Worksop priory by 1140, though it is more probable that this happened towards the end of the 12th century, when Hervey de Sutton and Robert, his son, formally granted the church and its advowson (the right of a patron to present a priest to serve it) to the canons of ‘Radeford’, that is to the Augustinian priory of Worksop. A few years later ‘James and William of the church of All Saints’ were witnesses to a document that may record a grant of land at Meering in the parish of Sutton to the cathedral of Lincoln, thus perhaps providing the earliest known reference to its dedication and priests. However, as the editor of that document warned, there are problems with this interpretation and the reference to ‘All Saints’ might equally be to another local church with a similar dedication such as those at Besthorpe, North Scarle, or North Collingham. 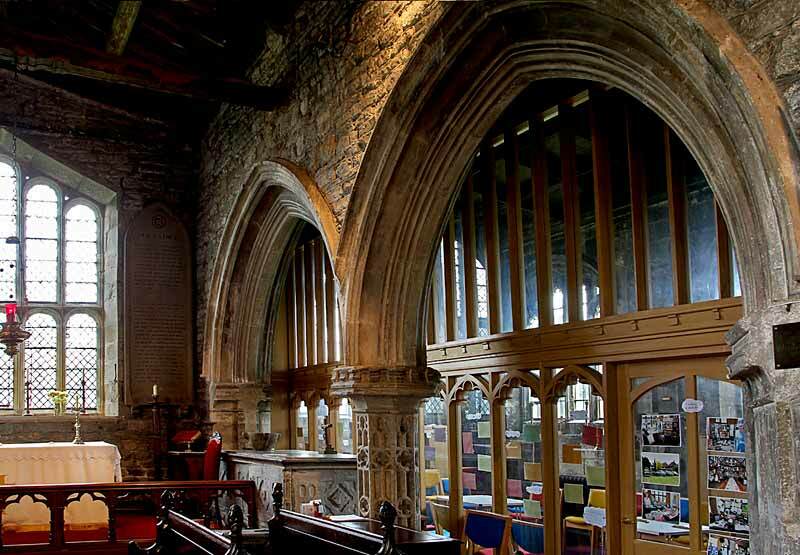 More certainly, the connection between Sutton and Worksop priory was confirmed in 1235-6 when Richard de Sutton and Prior Walter Lenton agreed to abide by the terms of Hervey de Sutton’s charter of 1180 x 1200. However, for a time in the mid and later 13th century there was renewed uncertainty and clearly some dispute over rights of presentation. Several rectors of Sutton are known from this period, who may have appointed vicars, among them Peter, son of Bartholomew de Alexio, who is described in 1253 as rector and ‘a Roman citizen’ when he also received a papal grant to hold another benefice in Canterbury province. The likelihood that he visited either of his English livings is remote. 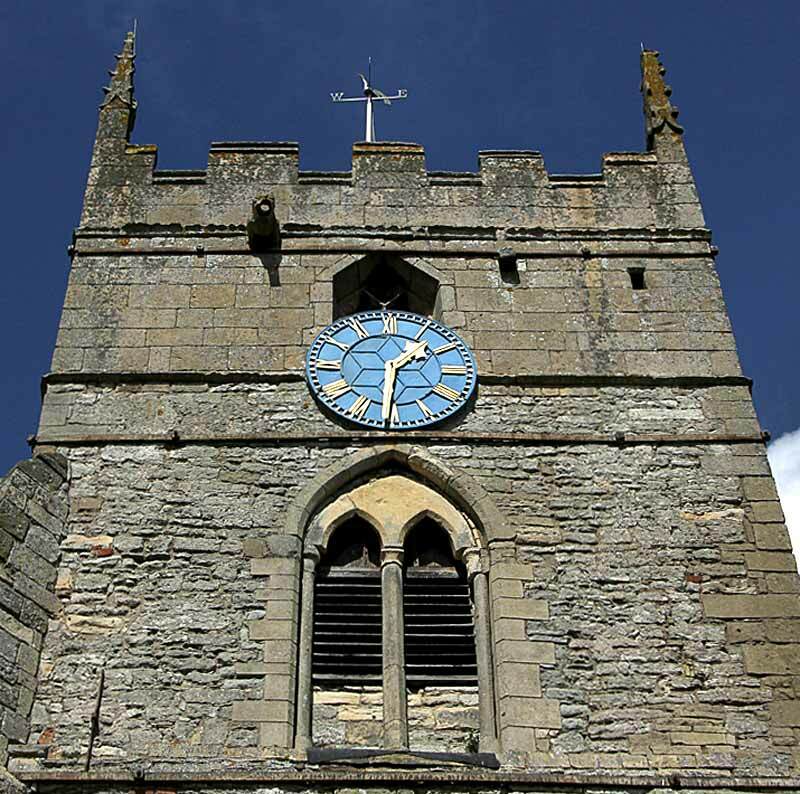 Other rectors included more local figures like Thomas and Elias de Sutton and Henry of Gloucester, members of influential Sutton families, while around 1280, John, son of Adam of Muskham, who had also come into possession of some manorial rights in Sutton, claimed to hold the advowson. The matter was definitively settled for the rest of the Middle Ages shortly after 1300. 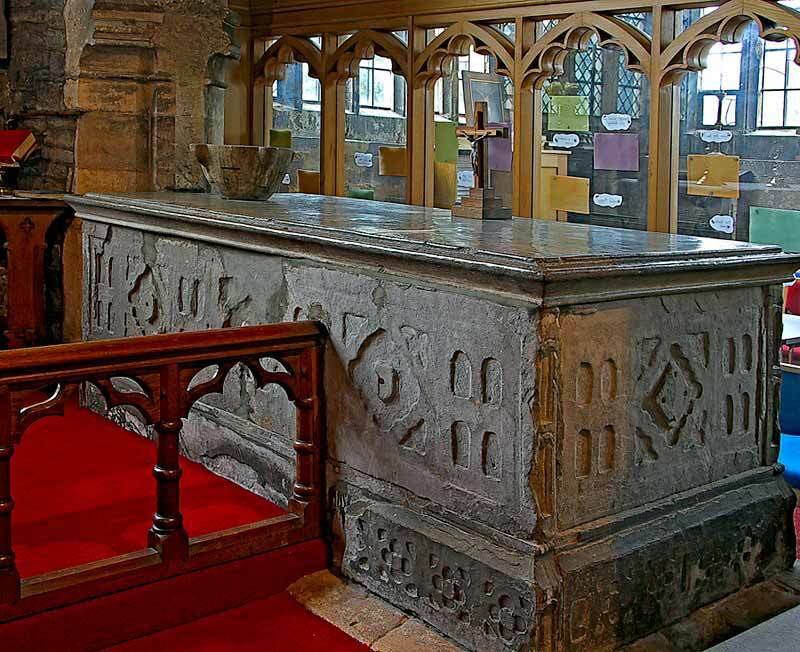 On 5 April 1302, Archbishop Corbridge commissioned Mr Thomas de Eadbirbury, canon of York, to frame an ordinance for the appropriation of Sutton by the patrons, the prior and convent of Worksop. A fortnight later, on 17 April 1302, the reasons for this decision were made clear: the appropriation would enable the priory to meet some of its pressing tax obligations and also its heavy expenses in the hospitality it frequently had to offer to those travelling north and south, especially to those on royal business because of Edward I’s wars with Scotland. The appropriation was to take effect after the resignation or demise of Henry of Gloucester, the then rector. Just over a year later, a further obstacle was cleared, when an inquiry ad quod damnum (i.e. to discover who might be prejudiced by the appropriation) returned a verdict that no one would be, and the way was formally opened to implement the ordinance when Edward I at Stirling on 24 April 1304 issued a licence for the appropriation. In the interim, another ecclesiastical commission led by the precentor of York had received Henry of Gloucester’s release of the rectory and made provision for him so that he would not be reduced to begging a living in his old age. 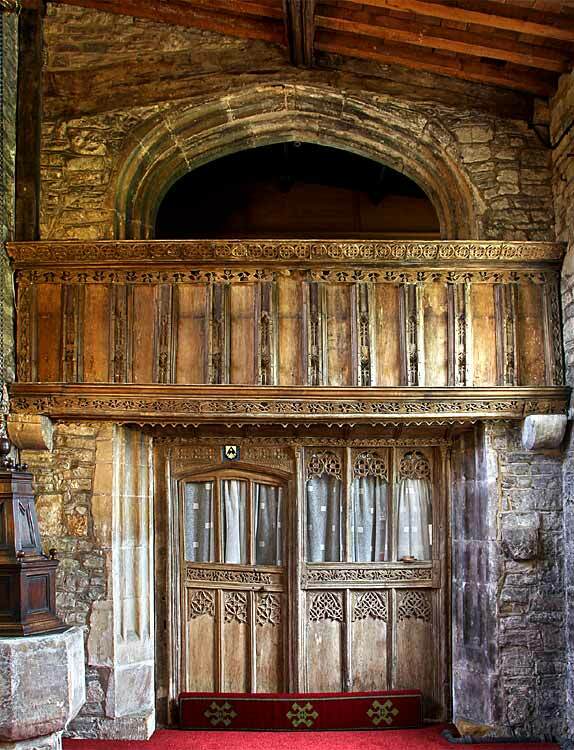 Finally, on 16 May 1304, Thomas Burdon of Wheldrake, priest, was instituted and inducted to Sutton as vicar, with the right to occupy half of the former rector’s mansion. The church was then worth 25 marks or £16 13s. 4d. p.a. Thereafter the priory of Worksop presented to the living without major dispute until its dissolution in 1540, when the advowson was taken into royal hands. A board in the south aisle of the church, compiled by Lavina F. Mumford in 1971, which is probably based on notes taken by James Torre in the late 17th century from the archiepiscopal registers at York, provides a fairly complete list of rectors and vicars from the mid-13th century onwards. As far as the vicars are concerned, little has been discovered about most of them apart from their names. Many appear to have held the living for only short periods before moving on, in a practice known by contemporaries as ‘chop churches’ whereby incumbents frequently swapped their livings in the hope of improving their circumstances. In the immediate aftermath of the Black Death, for instance, John Hopton resigned as vicar on 7 March 1351 and his successor, John, son of Adam de Carleton, resigned on 29 November 1351. Ten years later on 13 November 1361, the then vicar John de Farburn resigned, and just over a year later, on 18 January 1363, William de Benyngworth, followed suit, whilst his successor Roger de Catryk did not last much longer, though in his case there may have been other pressing reasons for him wishing to take up a living elsewhere. Together with Thomas de Amcotes, parson of Grove near Retford, he had been pursued at law by Roger de Moreton, citizen of York, for an alleged debt of £90 for which Amcotes had been outlawed, before receiving a pardon on 4 May 1373, and Catryk may have suffered a like fate. In the 15th century the number of vicars who resigned after short tenures declined, and a few died whilst still in office after many years, like Simon Drury, who seems to have held the living for 31 years between 1427 and 1458, while his successor Thomas Ayer apparently then held it for a record 47 years (1458-1505), still the longest serving vicar of Sutton, and we know that one of his acolytes was Robert Treswell who was granted letters dimissory on 15 March 1495 by archbishop Thomas Rotherham. A description of the house accommodating the rector and vicar survives from 1302, a very early reference (discussed in more detail below), and a cemetery is mentioned in 1310 when Walter de Gloucester, canon of Beverley, a former archdeacon of York and treasurer to Archbishop Wickwane (1280-3), but originally from the village, expressed his desire to be buried ‘in cimiterio’ at Sutton, leaving his best horse and a bull as mortuary fee as well as 20 shillings (£1) for the fabric. Old, blind and infirm he had apparently retired by 1309 to live with his brother, Henry de Gloucester, the former rector of Sutton between 1284-1303, almost certainly in that part of the rectory reserved to the prior of Worksop following its division. He died on 27 December 1310, leaving an impressive list of belongings including church plate, vestments, rings, a silver cup, two silver pitchers and several dishes bequeathed to his brother and John de Burton, who also received £20 in cash, a table cloth and a towel. Beverley Minster was to get a cope worth £10 and there were several other monetary gifts to individuals testifying to Walter’s wealth. But this is a rare personal vignette, which cannot be replicated again for over 200 years. Turning to the development of the church after 1100, it is possible that the base of the tower and the jambs of the chancel arch preserve some early Norman work as local tradition claims. Repairs to the tower in 1902-3 apparently uncovered the earliest phase of its building, revealing some herring-bone work, probably from around 1100 if not earlier. But the main surviving fabric reveals that two main periods of building are now represented, the 13th century and a late medieval phase. It was in the 13th century that the main form of the church (tower, nave, north and south aisles, and chancel) took shape. No documentary evidence (apart from the bequest of 20s. by Walter of Gloucester in 1310 to the fabric) now survives to chart that phase. Then towards the end of the 15th century or in the early 16th century, major works were undertaken as the nave was heightened and an impressive six-window clerestory was inserted while the tower, now buttressed on the north-west corner, was raised by a further stage. A roof-line showing the height of the nave roof before the addition of the clerestory is visible from the nave. 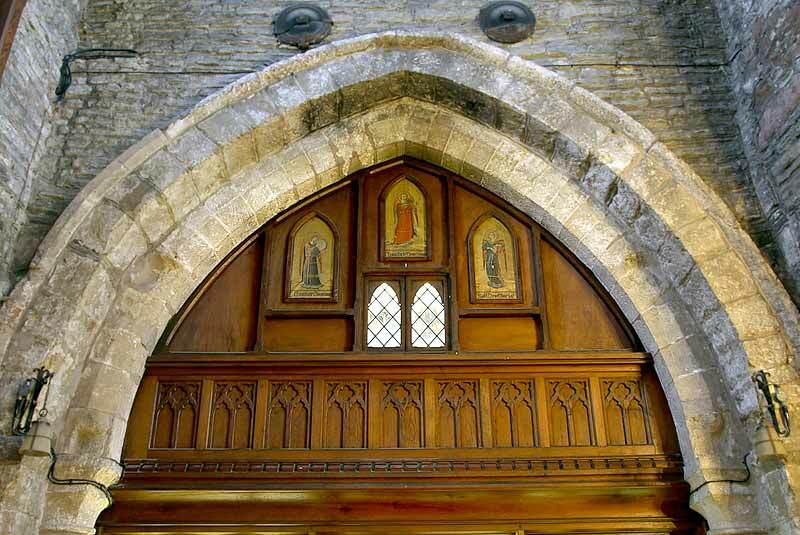 The Meering chantry chapel was then added to the south of the sanctuary, with which it communicated through a new two-bay arcade, while an impressively carved wooden screen, with door, was erected. This is now between the chapel and the former end of the south aisle but there is some suggestion that it was possibly moved to this position as late as the 17th century. With the new chapel, the south aisle was effectively extended to finish flush with the east end of the chancel. Consisting of three unequal bays, the Meering chapel contained a loft or gallery above the screen at mezzanine level, accessed by a spiral staircase in the third, smaller, bay opening off the old south aisle. 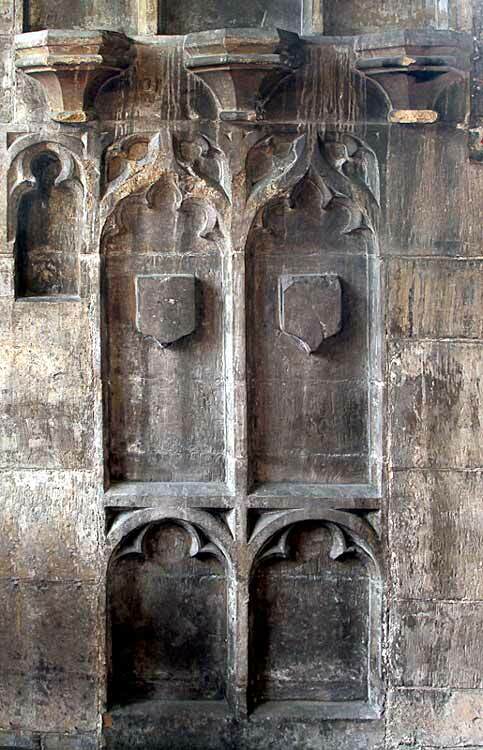 Internally there are many now blank shields within carved stone panels, an elaborate piscina (carved stone wash basin) for the chantry priest serving the chapel altar, and evidence of the stained glass it once contained including at least one representation of the Meering arms. Externally the south side of the chapel has an ornate, moulded, coped parapet which is also extensively decorated with shields, now plain but once presumably brightly painted. Additional heraldic evidence shows that the Meerings not only invested in their own impressive chantry chapel but were also most probably the main patrons responsible for the clerestory since their arms are displayed in the reveals of the second clerestory window from the chancel arch on the south side of the nave. Some later documentary evidence throws light on the progress of the chapel’s construction, traditionally stated to be c1525, so that a short account of the family’s connection with Sutton may be permitted given the chapel’s significance as the most unusual architectural feature of the church. The earliest members of the family, which took their name from the hamlet of Meering, now lying east just across the Trent from Sutton, are Hervey de Meering and Alan, his son, mentioned in the mid 12th century. Between 1156 and 1170, Alan son of Hervey (of Meering), with the consent of his lord, Hervey de Sutton, made a grant of land in Meering to Worksop priory and at much the same time, Hervey de Sutton also confirmed a grant by Alan to Lincoln cathedral, saving the service of one sixteenth of a knight’s fee owing by Alan to himself. Relations between the two families were close: a little later, around 1175, Hervey son of Robert of Sutton confirmed an agreement between Fountains abbey and Alan [de Meering], his uncle, which shows that Alan’s sister must have married Robert de Sutton. However, until the end of the 13th century the Meerings were overshadowed by more prominent local gentry families such as the Suttons, Westons and Pierreponts. Following the move by the main surviving branch of the Suttons to Averham around 1300 and thanks to several successful marriages in the 14th century, the Meerings rose in wealth and local status, building themselves a substantial manor house at Meering where they had a private chapel. In the 15th and early 16th century three men stand out as the family reached its zenith. Sir William (I) de Meering (d. 1449) fought as a young man at Agincourt and served twice as MP for Nottinghamshire as well as holding several other county offices. Thomas (d. 1500), younger son of William (II), became a merchant of the Staple, and although as a staunch Yorkist he had to live quietly under Henry VII, accumulated sufficient wealth to found the elegant Meryng chapel in Newark St Mary, of which he made his nephew, Sir William (IV), the patron. This Sir William married three times and built up an impressive estate which included manors at Thorney, Car Colston, Sutton-on-Trent, Kingshaugh and Kettlethorpe (Lincs) and lands in Ossington, Cromwell, Newark, Darlton, Drayton, Holme-by-Newark, Tuxford, Little Markham, Laxton, Milton, Bevercotes, Woodborough, Warsop, South Leverton, Beckingham, Maplebeck and South Clifton bringing in nearly £200 a year clear (not quite in the league of the Willoughbys, Cliftons, Byrons or Pierreponts, but certainly among the county elite). He was knighted for helping to put down Cornish rebels at Blackheath in 1497 but shortly afterwards was so seriously injured that he allegedly had to spend two years in bed following an attack on him by the Stanhope family during a long-running legal dispute over the succession to Thomas Gloucester of Sutton and Car Colston! He later served as marshal in the Calais garrison for some years before retiring to his estates though he remained somewhat pugnacious. In the early 1530s he was involved in a dispute with the bishop of Lincoln’s bailiff in Newark in support of the townsmen who wished to be free of the bishop’s control and get a charter of incorporation. On 6 October 1536, he wrote from Meering to Archbishop Cranmer as ‘your old bed[e]man’ to seek his aid in getting him excused from attending Chancery in the case against the bailiff, ‘God knoweth ... I may neither ride nor go but with two staves like crutches and further do I not labour, but in my poor house to my chapel and to my garden; and when I go in my waggon to Newarke to do my duty in serving the King’s most noble Grace at his Sessions there, and God knoweth what pain it is to me’. He died in the following year, leaving three sons still living (one, Thomas, a brother in the house of Observant friars established in Newark c1499) and several daughters, making many generous bequests to charitable causes, but also with an estate already encumbered with serious debts. These would within a couple of generations lead to bankruptcy and the sale of the family’s lands. Among the charities supported was the Meering chapel in Sutton church which Sir William had founded, almost certainly inspired by that of his uncle Thomas at Newark, and where he probably still lies buried in the large chest-tomb placed under the arcade between the sanctuary and the Meering chapel in a position identical to that of John Barton (d. 1491), another merchant of the Staple, at Holme, whose example may also have prompted Sir William to emulate him. In the very Catholic will that his son John (d. 1543) drew up on 16 June 1541 there are instructions for further bequests to the Meryng chantry at Newark and to the vicar and poor of Sutton, but the main bequest is £5 ‘to the buyldinge of the revestrie and of the chapell of Sutton churche that my father dide bequeath by words of mouthe afor the vicare and Sir Hugh and John Merynge’. This suggests that the chapel was still not complete and that the date traditionally assigned to it (c. 1525) needs to be treated with some caution. 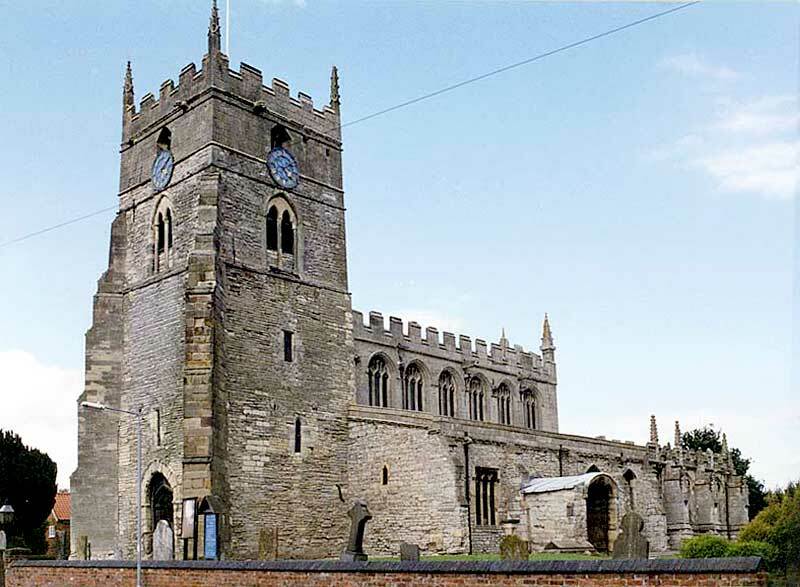 Nor can it be determined whether it was finished by 1550 when John Fulwood of Newark, yeoman, left 2s, ‘To the churche workes of Sutton upon Trent’. A chantry certificate drawn up in 1547 shows that land in two parcels, one worth 26s 8d and the other 20s, had been ‘graunted for the sustenacion of certaine Obitis for ever’ (that is prayers said for the dead) and that this produced a yearly sum of 2s 4d ‘wherof in Money yerely distributed among the poore’ 22d., with the other 6d used for church maintenance. Remarkably, given the very late date for the foundation and construction of the Meering chantry, the church does not appear to have suffered major damage at the Reformation. 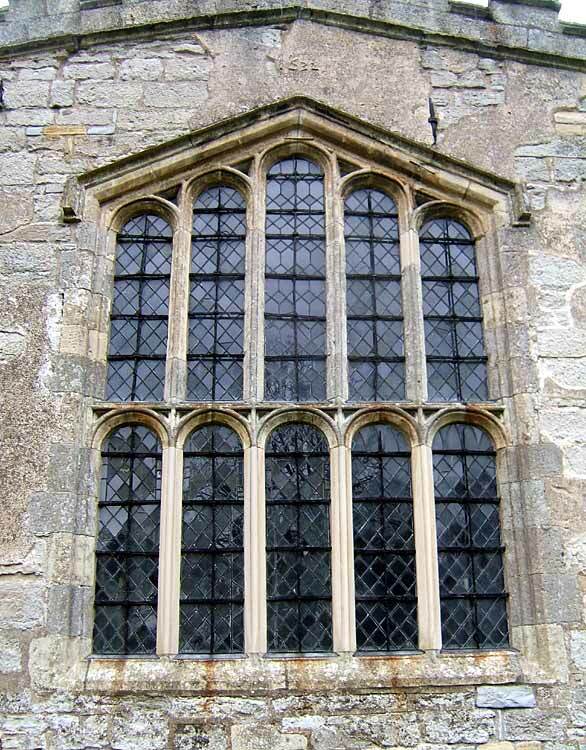 Probably more significant was damage sustained at the time of the 17th-century civil wars when it is likely that most of the stained glass that had once decorated not only the Meering chapel but other windows too was smashed (a loss sometimes attributed to the actions of Scottish Covenanters besieging Newark), leaving only the pitiful fragments which currently survive. While some mutilation also occurred to the Purbeck marble tomb, putatively of Sir William (d. 1537), since by 1677 when Dr Thoroton published his famous county history, it clearly bore neither a readable inscription nor any effigy, both of which it must once have possessed, also probably the result of Puritan iconoclasm. As partial amends, most recently (2008), in order to turn the chapel into a suitable room for small meetings, the organ was removed to the back of the church and a new Gothic-panelled glazed oak screen has been erected in the arcade between the chancel and the chapel, creating in modern form some of the intimacy and privacy that the founder and his family intended when the chapel was first built. The history of the church from the Reformation onwards with the change from Catholicism to Protestantism is difficult to document in any detail. Henry VIII had taken the advowson into his own hands with the dissolution of the monasteries, but in the last year of her life Queen Mary transferred it to Nicholas, archbishop of York (1558). It later passed to the Talbot earls of Shrewsbury, then to the dukes of Newcastle, and thereafter through many hands, including for most of the 18th and 19th centuries the Hulse family, until in 1910 it was transferred from D’Oyley Scott Ransom, a solicitor in Nottingham, to Edwyn Hoskyns, bishop of Southwell, whose successors continue to exercise patronage. In 1551 the church had ‘4 belles, a lyttyl bell and 2 hand belles’. Robert Alexander, who had been priest since 1508, died in 1553 having seen the break with Rome and the first moves toward creating the Anglican church, but before the full effects of the Marian reaction and return to Catholicism were felt. His successor, Thomas (or John) Wilson, lasted less than a year, probably a victim of that reaction. But his successor, William Pycard, managed to negotiate the Elizabethan settlement after 1558 without apparent problems until his resignation in 1569. The careers of the next few vicars are obscure. Some, if not all, were graduates, a practice which became standard after the Restoration (1660). Following the death of William Butcher in 1633, there is a surprising gap in information on any incumbent until 1661, when Samuel Caldecott was appointed. On his death in 1667, too, there is some uncertainty as to who then held the living. Two names have been proposed by different authorities (with different dates for their appointments and deaths! ), William Nelson MA and Matthew Rayner BA. Perhaps Nelson was the vicar and Rayner his curate between 1667 and 1673 when the latter appears to have been named as vicar. The Hearth tax lists do not help: in 1664 the vicarage was assessed for 2s since it contained only one hearth but the vicar’s name is not stated; neither is it mentioned for the 1674 Hearth tax return. A close study of the parish registers, which begin in 1584, might resolve some of these uncertainties though the incomplete nature of those between the late 1650s and 1670s and their poor physical state are hindrances. Nevertheless it is clear that the early 17th century saw changes by which time Sutton had become solidly Anglican. The largest number of communicants ever recorded for the parish was in 1603 when there were 362, very few Catholic recusants are noted (Christopher Playnts, carpenter, in 1610, and Francis Lee in 1624-5) and parishioners seldom appear to have got into trouble because of absence from church or for moral failings! The present altar is a table of Jacobean date, probably installed in conformity with the instructions of Archbishop Laud (d. 1645). The chancel was also restored at much the same time when the present 5 light window in debased perpendicular style was installed as a date-stone of 1632 above it on the exterior indicates. Among the church’s plate is an alms dish of 1656 with the arms of the influential local family of Cartwright impaling those of an unidentified family, a rather unusual survival from the Commonwealth period. 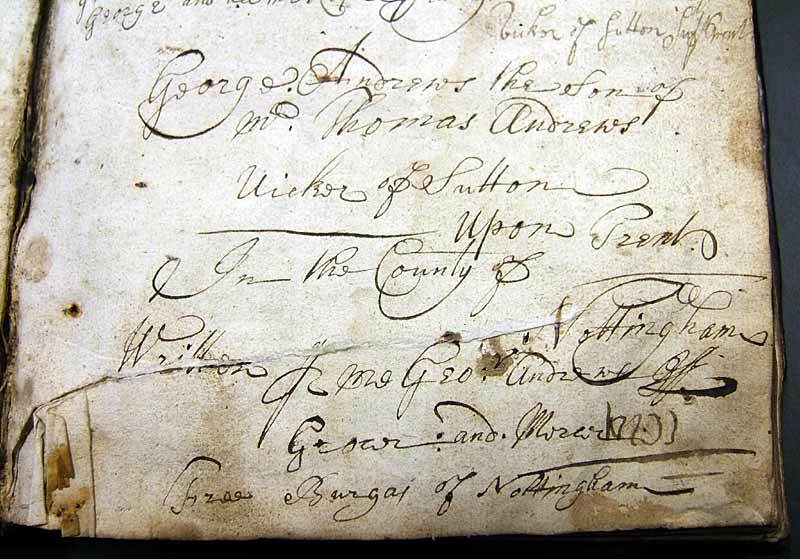 By 1675, Thomas Andrewes was in charge, perhaps first as curate but then certainly as vicar as shown by his return to the Compton census. 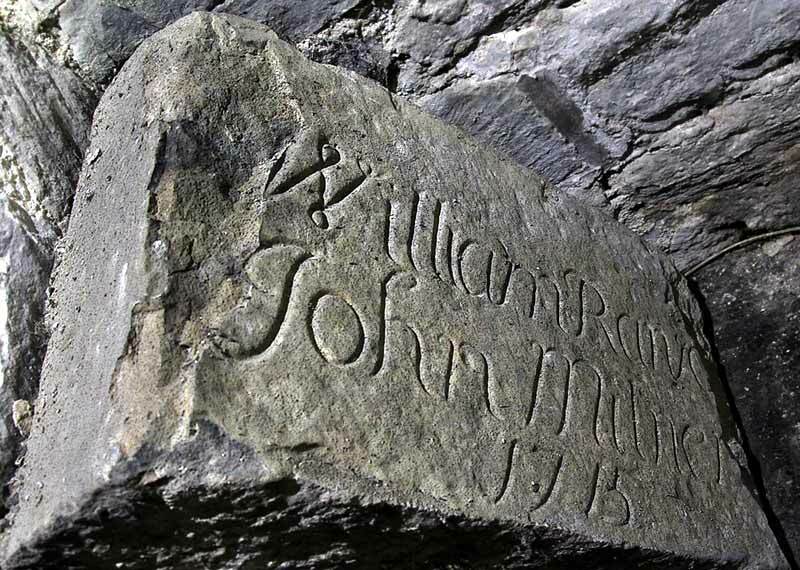 He held the living until his death in 1715, the year in which some repairs may have been carried out if the fragmentary stone, currently in the south-west corner of the south aisle, and possibly originally placed on a buttress, bearing the names William Ran… and John Milner (probably wardens), and the date 1715 is an indication. Earlier, in 1676, Andrewes reported that there were some 240 communicants, one recusant and six dissenters in the parish, among them perhaps two Quakers, Hugh Heale and Richard Lacey, who took the oath of allegiance in 1689. 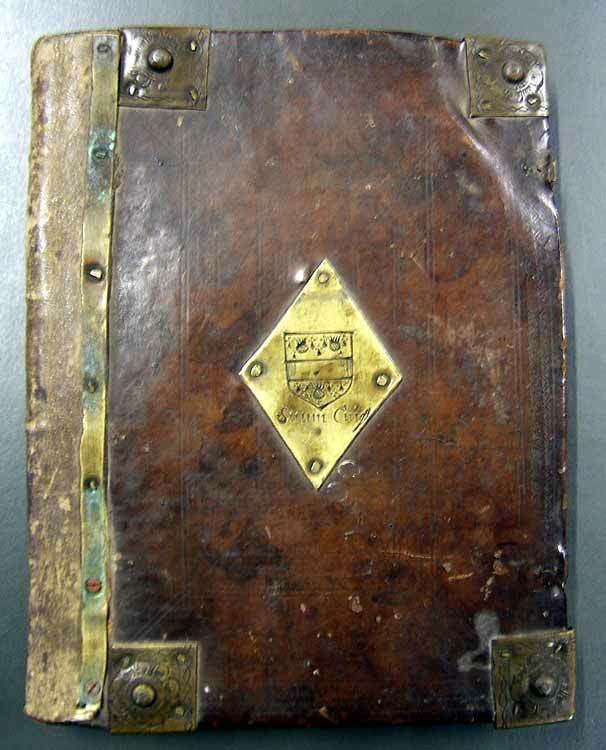 Two books also survive from this period, one folio, the other quarto, impressively bound in leather with metal reinforcement to the corners and heraldic shields with the arms and crest of the Cartwright family on both front and back covers serving as reminders of Thomas Andrewes’ time as vicar. The first is the Elizabethan Book of Homilies originally printed in 1562 but reissued by royal command in 1673: Certain Sermons or Homilies appointed to be read in Churches in the time of Queen Elizabeth of famous memory and Now thought fit to be reprinted by authority from the Kings most excellent majesty, a very clean copy with no annotations indicating heavy usage (unlike a similar volume from neighbouring Cromwell). The second is a copy of the Articles agreed upon by the Archbishops and Bishops of both Provinces, and the whole Clergy in the Convocation holden at London in the Year 1562, also reprinted by royal command in 1675. Though the main text again shows no reader’s comments, it originally belonged to Thomas Andrewes as a note on the front fly-leaf indicates, ‘My son George Andrews born March ye 17 1681’, whilst on the back inside cover and fly-leaf there are other notes, chiefly made by George himself, a grocer and mercer who became a freeman of Nottingham, that show it remained in the family until after Thomas’s death, only later being returned to the church. A few vicars employed curates to cover their absences after the Restoration. Andrewes may for a time have been assisted by William Hunt, clerk of Sutton, whose name and that of some other members of his family also occur on the fly-leaves of the Articles. Perhaps the most distinguished was Lynford Caryl who served first at Cromwell (1732-3) then at Sutton (1733-4) before receiving the first of many preferments. These included that of All Saints, Cambridge (1748-52) and of Rolleston (1751-2), the prebend of North Muskham (1750-81), other prebends at Lincoln (1762-81) and Canterbury (1766-81), and the Mastership of Jesus College, Cambridge (1758-81). He was followed by Robert Gunthorp LlB who deputised for a largely absentee vicar, Samuel Leeke, also rector of Kilvington, for most of the period 1734-46. Gunthorp’s practice of signing the baptism register annually (a habit probably instilled by his legal training) along with the church wardens was sadly not replicated by most of other 18th century officiants before the arrival of probably the most energetic curate to serve in the parish. This was the Rev. Edmund Herring who for nearly forty years, before he finally obtained the living of Norwell (1833-46), served almost continually at Sutton, travelling a short distance from his home at Carlton-on-Trent whenever his presence was needed and earning the nick-name of the ‘Flying fish’, presumably because of his vigorous riding habits and active pastoral ministry since he was also called upon to officiate in several other local parishes. A pair of his spurs still survives as a family heirloom! The visitations of Archbishops Herring (1743) and Drummond (1764) provide a good snapshot of parish life in the mid 18th century. In 1743, the vicar Samuel Leeke reported nearly 120 families in the parish, of whom two were Quakers though there was no meeting house, no school nor alms house. By archiepiscopal dispensation, he resided on his living at Kilvington and employed a curate, who lived at Cromwell, receiving £15 p.a. of the £30 which the living was then worth. There was one Sunday service and the curate catechised during Lent and administered holy communion four times a year when 14 usually received, though 20 had attended the last Easter communion. In 1764, Matthew Markland, vicar since 1746 and until 1783, was not present to meet the archbishop when he came to Newark to hold the visitation but sent the church wardens John Spittelhouse and John Caunt together with a series of exhibits. Some 80 families were living in the village, a marked fall from 1743 (also recorded elsewhere locally), but none of them were dissenters, and the absence of any Quaker meeting house or any other chapel in the parish was confirmed. More disturbingly there was still no endowed school to go with the school house which Markland had himself raised in 1747 in hope of getting endowments, nor augmentation to the church and no lands left for its repair. As for the vicarage house it was so unfit for purpose that Markland, like his predecessor, had obtained a dispensation for non-residence from 1749 and resided at Egmanton where he also held the living. Unlike the Rev. Samuel Leeke, he employed no curate but alternated weekly services morning and afternoon with Egmanton. There were no unbaptised attendees and he had baptised no adults in the three years since the archbishop had been elected. He catechised in Lent and the sacrament was administered four times a year, with about 200 communicants in total, of whom 20-30 came normally or at Easter. No penances had been performed in the archbishop’s time. Provision for spiritual and pastoral care continued to be rather erratic. In 1786, the ‘furniture’ of the church and chancel was summarily listed: ‘For the Communion Table, a Carpet & Linen Cloth, A Surplus, Bible, Book of Homilies, a Table of Degrees, a Table of Charities, a Chest, a Box, and a Poor Box to receive Alms’, while the Communion plate consisted of ‘a Silver Bason, a Silver Cup and Cover, [and] Pewter flaggon’. The church also then possessed ‘4 Bells, A Clock, Parish Register, a Pulpit Cushion and Cloth’. 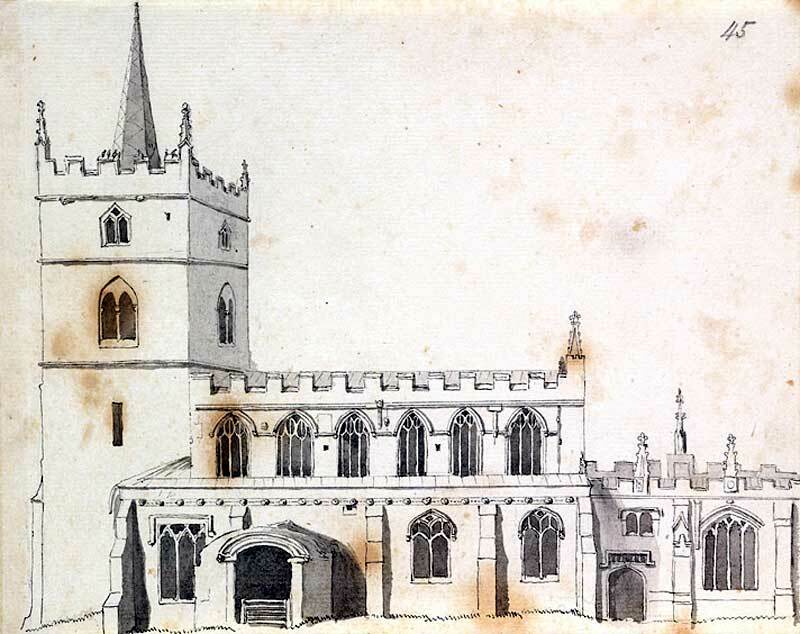 A drawing made around this time by Samuel Hieronymus Grimm (one of a large series for Richard Kaye, dean of Lincoln) shows the church from the south, with a small spire atop the tower and a very small south-west buttress (see 16-1). In 1797 a guinea (£1 05p in modern terms) was left for the poor of the parish but Thomas Hulse LlB, Fellow of All Souls, Oxford, who became vicar in 1808 had yet to visit the parish in 1830 as ‘A Constant Reader’ wrote indignantly to the Nottingham and Newark Mercury. Sutton was then a parish of nearly 1200 people, having rapidly expanded from some 731 inhabitants in 1811, and the benefice was allegedly worth £400 p.a of which the non-resident curate [Edmund Herring] received £50-60 p.a. Some urgent repairs had been carried out in 1813 to the tower, which stands to a height of around 120 feet, when it began to crack and lean to the west because of the compression of the relatively soft blue lias stones used in its construction that weather badly on exposure causing settlement. A vestry meeting was held on 22 May 1813 ‘for the purpose of considering the necessity of forthwith repairing the said Church and particularly the Tower thereof’. Under the guidance of the wardens, John Esam and William Buttery (whose names were eventually inscribed on the new buttress), a motion was passed: ‘Whereas it appears to this Meeting that the Tower … is in want of immediate repair and that it will be necessary to the Security thereof that a Stone Pillar should be forthwith erected at the South West corner of the said Tower and that the Wood Work in the said Tower should also be repaired …’, authorising the wardens to agree contracts for the work. As a result the south-west buttress was built, iron tie rods were inserted, and an iron band affixed around the tower. At ground level the walls of the tower are some 4 feet 6 inches (1.25 m) thick. Despite the repairs, problems continued. In 1830 the small spire was removed, perhaps to help stabilise the tower. Two further iron bands encompassing it were added by the local blacksmith in 1844. Subsequently it began to lean towards the east, hence the need for further repairs in 1902-3. It is perhaps not surprising that non-conformity attracted many villagers from the first half of the 19th century as Sutton’s population, like that nationally, soared. At the religious census of 1851, the area of the parish is given as 2930 acres and the population as 1262 (623 males, 639 females). In the return signed by John Turtley (a curate or churchwarden? 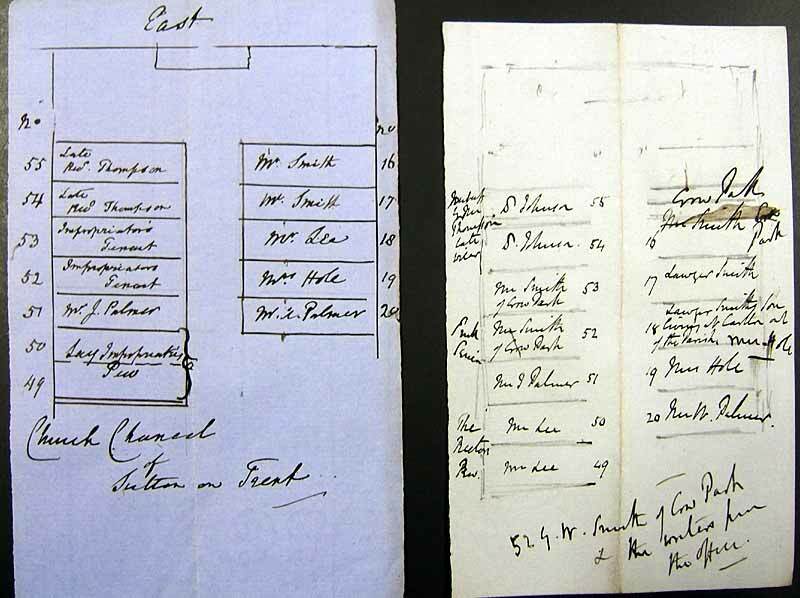 ), All Saints is said to seat 240, of which 180 places were free. The morning congregation was 80 and the afternoon one 90, while 45 children attended Sunday school. However, at the Wesleyan Methodist chapel, founded in 1821 on High Street, which could hold 265, it was claimed by Joseph Herrod, Chapel Steward, that the average attendance over 12 months had been 121 in the morning, 120 in the afternoon and 200 in the evening! A Primitive Methodist chapel at Stone Thorp (Henry Bark, Steward and miller – shades here of a Silas Marner? ), erected in 1841, seated 200 and had general congregations averaging 45 in the afternoon and 110 in the evening, while the Baptist chapel (James Edge, Minister), erected in 1810, seated 200 and had an adult congregation of 70 in the mornings and 100 in the evenings, with 100 Sunday school scholars in the morning and afternoon. But like non-conformist churches elsewhere, from a heyday in the late 19th century and early 20th century, the congregations of these various chapels rapidly declined after World War I. The Primitive Methodist and Baptist chapels closed, however the original Wesleyan chapel, a member of the Newark and Southwell Methodist circuit is still active and some services and other activities are held jointly with the parish church. In 1859-60 there was some dispute over both the organ and the occupation of pews. Speaker Denison of Ossington, who was then the lay rector, sought legal opinion on his right to claim the chief seats in the chancel. Feelings ran high before peace returned, partly thanks to the intervention of George Wilkins, archdeacon of Nottingham. He eventually agreed to the assignment of pews according to a plan of occupants drawn up by the churchwardens with just a very few minor changes. Speaker Denison agreed to ‘lend’ his pews in the chancel to the vicar. But there was no major restoration at this period as the Rev. Sir Stephen Glynne noted when he visited in 1874. One rather unusual consequence has been that the internal walls of the church have remained unplastered to the present. In the late 19th century because of agricultural recession, the population of the village fell to 873 in 1901. By 1911 it had risen slightly to 927, but the value of the benefice had fallen to £200 p.a. Important repairs to the tower in 1902-3 allowed some archaeological investigation of its foundations. Most of the efforts to consolidate it were concentrated internally (filling voids, using brick to reinforce it) since the reports of successive architects had stressed its dangerous condition: though one asserted, ‘At first sight it appears in need of rebuilding, but with careful work it may be made safe and sound.’ The recently-founded Society for the Preservation of Ancient Buildings (SPAB) with their architect William Weir successfully took charge of repairs and (from time to time) had to chase off locals who climbed the scaffolding to see what was going on! The buttresses, which had parted from the walls, were rebonded. The top-most stage of the tower seems to have been rebuilt, with crocketed pinnacles at each corner, probably copying what was there previously. Internally, a western gallery that had largely obstructed the opening into the tower was removed, making the tower arch into a more prominent feature, and the present ringing chamber with a wooden glazed screen opening onto the nave was inserted. The chance was also taken to place the pulpit on a new dias, while Lady Elinor Denison of Ossington, provided a new reading desk. The total cost of just over £800 was borne by subscriptions of the parishioners. A plan of glebe land still owned in 1911 survives, but some sales then followed. In 1913 heating was installed and in 1922 a new bell frame likewise, when it contained six bells, augmented to eight in 1931. Between 1956 and 1968, there was a concerted general repair and refurbishment of the church both internally and externally, as a board in the south aisle records, when the gravestones were removed from the surface of the churchyard and many of them used to create a southern boundary wall and pavement. An oak tree was planted to mark the completion of the project which is now (2017) already well-grown. 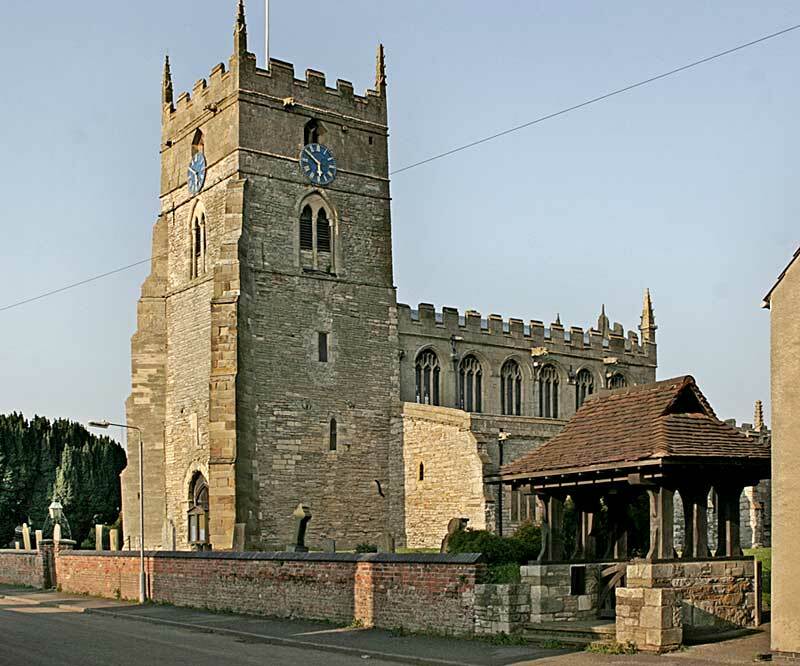 With declining congregations after the Second World War, the possibility of uniting Sutton benefice with those of Weston and Carlton-on-Trent was under discussion in 1949, but it was 1971 before an order uniting Sutton and Carlton was finally issued. In practice, all vicars of Sutton from the time of Robben Keal (1940-71), reverting to the pattern of their 18th century forbears, normally also held other livings in plurality or as priests in charge. Keal held both Sutton and Carlton, became rector of Welby in 1954, canon of Southwell in 1956 and served as rural dean of Norwell from 1946-66. His successors (Revs. Chamier, Hatter, Unsworth, Bishop and Dixon) all held Normanton on Trent and Marnham in addition as priests in charge until 2005. At this point, the Rev. Sheila Dixon, who had been among the earliest women priests to be ordained, also became priest in charge of Norwell, Caunton, Cromwell and Ossington, a very heavy burden of eight parishes. The load was lightened for her successor, the Rev. Christine French, by the subtraction of Normanton and Marnham which joined the Tuxford group. Her successor, the current incumbent (2017), the Rev. Canon Mark Adams now holds the newly formed benefice of Norwell with Ossington, Cromwell, Caunton, Sutton and Carlton-on-Trent. The early 21st century has seen the church enhanced by the addition of an elegant modern glazed screen separating the Meering Chapel from the body of the church (2008), providing a convenient meeting space. The other recent important architectural change has been the re-ordering of the base of the tower to provide kitchen space and a toilet (2006). The landscaping of the churchyard in the late 1950s and early 1960s has given the church a spacious grass surround which sets off its striking architectural features with an impressive tower, fine clerestory and exuberant Meering chapel to their best advantage, and given the village an area which can also be used for communal activities. As noted briefly above, a rare early (but confusing) description of a rectory survives from 1302 when it was divided in half to provide a residence for the vicar newly appointed by the prior and canons of Worksop following their appropriation of the church. He was to have ‘the south part of the mansion, viz. in length from the ditch at the western end of the same in a straight line along that fence which is between the two fishponds, even to the middle of the wall between the kitchen and cowhouse, and towards the east on the north part of the Rector’s Hall, where there formerly stood a gate; and in breadth along the aforesaid fence towards the south together with the southern fishpond, and hall, kitchen and the rest of the building situated in that part of the Mansion … And a certain wall being built at the expense of the said Religious, from the aforesaid fence, which is between the fishponds in a line, even to the middle of the old gate’. 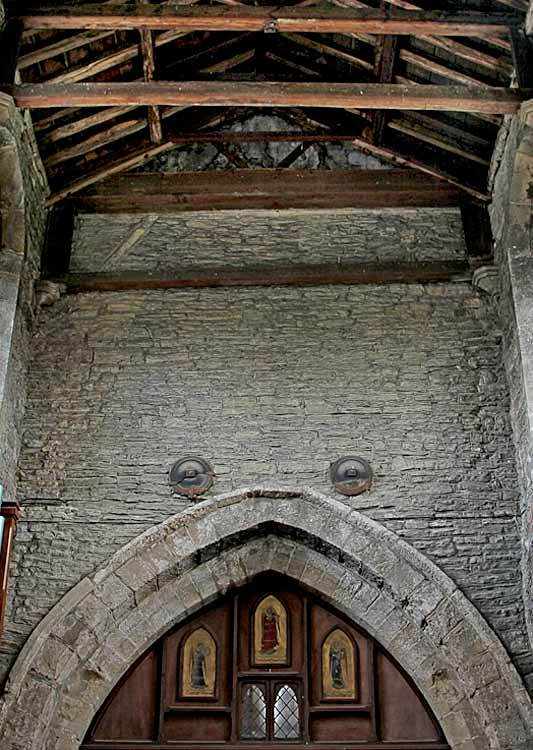 A new gate was to be built for the vicar at the east end on the southern side at his own expense, large enough for a fully laden waggon (presumably carrying hay or corn) to pass, extending from the corner of the wall next to the kitchen towards the end of the new wall. The canons were to have the northern part of the former mansion, with adjacent fishpond, cowhouses and barns, and also to have a gate built at their own expense on the north side extending from the cowhouse eastwards, replacing one that had formerly stood close by (or simply rebuilding this), though it was also to be shared by the vicar. Trying to make sense of this, it would appear that what is being described is a large, roughly rectangular enclosed site (by a moat, wall or fence? ), within which several separate buildings and two fishponds were disposed. There was clearly one main structure, the rector’s hall (most likely a large open ground floor timber-framed structure), large enough to be divided in two, a kitchen (probably separated from the hall to reduce fire risks), at least two cowsheds and two or more barns, now formed into two blocks, divided by a fence, that could be occupied separately, thanks to gates to the north and south, though some of the space within the curtilage was still to be common to both habitations. Sadly no archaeological traces of the location of this complex have yet been identified. However, there are similarities with the provision for vicars at other 13th and 14th century vicarages. 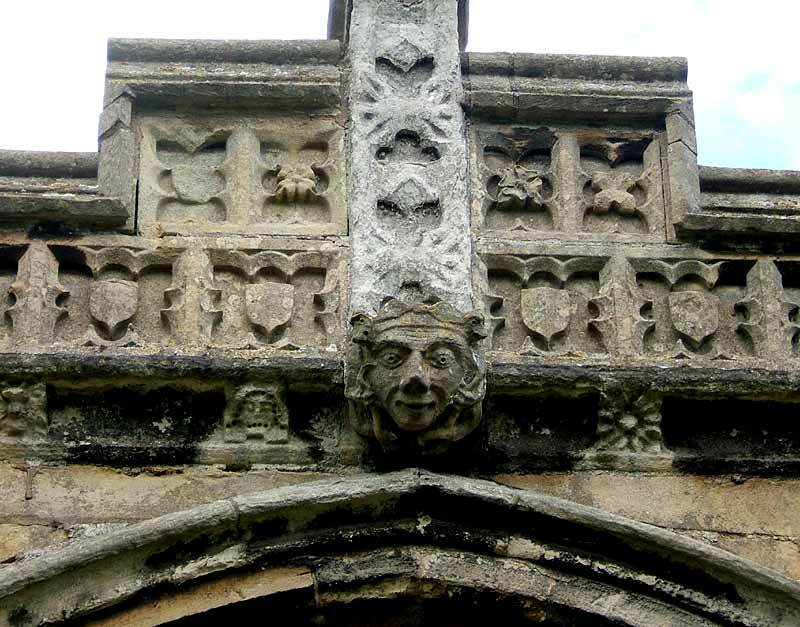 One provided for the vicar of Histon (Cambs.) in 1263 when the living was appropriated by Eynsham abbey was to have a hall, solar (private chamber), cellar, kitchen, grange and stable, while in 1365 Archbishop Thoresby had ordered that the vicar of Bunny (the previously earliest known Nottinghamshire example) should be provided with a hall, two adjoining chambers, a kitchen and stable within the bounds of his dwelling. What is lacking directly at Sutton is any indication of what other rooms may have been attached to the hall, though indirect evidence (see the discussion of Walter of Gloucester’s last years above), suggests that there may well have been at least two separate solars or chambers for Walter and his brother, the former rector, attached to the main hall at the time that it was divided into two habitations. Another point to make is that the divided residence still had an important agricultural function since each part had at least a cowshed, probably a barn, and certainly a fishpond and required access by loaded waggons. It is probable that all the structures were earth-fast and timber-framed rather than built in masonry. This would help account for the next reference to the ensemble following a disaster. In 1587 Roger Dand, general woodward for the Queen’s High Woods in Nottinghamshire, provided 100 trees to George, earl of Shrewsbury, farmer of the rectory, ‘for the repaire of her majesties parsonage of Sutton upon Trent then burnt’ and another 12 trees to the vicar, by a warrant of 17 February 1587, for similar repairs ‘to the vicarage house then burnt’. The rectory was certainly rebuilt, but then passed into private ownership since almost 100 years later on 27 May 1678, Peter and William Clarke, sons of the late William Clarke, who had acquired it from William, duke of Newcastle in 1666, sold the rectory to Stephen Thornley, a London goldsmith, for £75. As for the vicarage (taxed at only one hearth in 1664), whether now still attached to the rectory, or a separate dwelling, most subsequent references to it refer generally to its very poor state of repair, presumably as an increasingly dilapidated old-fashioned timber-frame structure rather than one built in brick. As a result several of the 18th and early 19th century vicars were non-residents (as noted above), preferring to live in the vicarages attached to their other livings rather than reside in Sutton as the returns to visitations of 1743 and 1764 showed, when the vicarage was deemed to be unfit for purpose then as it still was in 1835. The problem was finally remedied when the Rev. Arthur Graystone (1867-74), a man of considerable private means, built an impressive new rectory on glebe land to the north of the church. Was this also the site of the earlier rectory and vicarage? Following its construction, some modernisation occurred from time to time. Improvements were proposed in 1910; a new heating system was installed in 1927; a mortgage taken out in 1959 for further improvements when part of the garden was also sold to meet expenses. Finally the diocese decided to sell it in the early 1980s, and it survives now as a private residence, whilst a house fronting the old A1, opposite the present Jet garage, used briefly as a replacement vicarage, was also sold when the Rev. Sheila Dixon moved to Norwell vicarage in 2005.